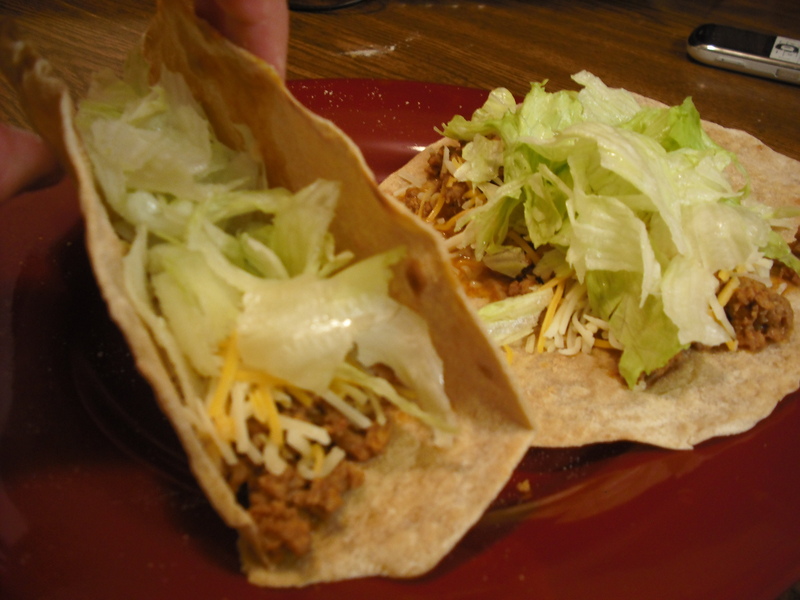 So it was taco night in the Artz’ household, which is always super yummy. 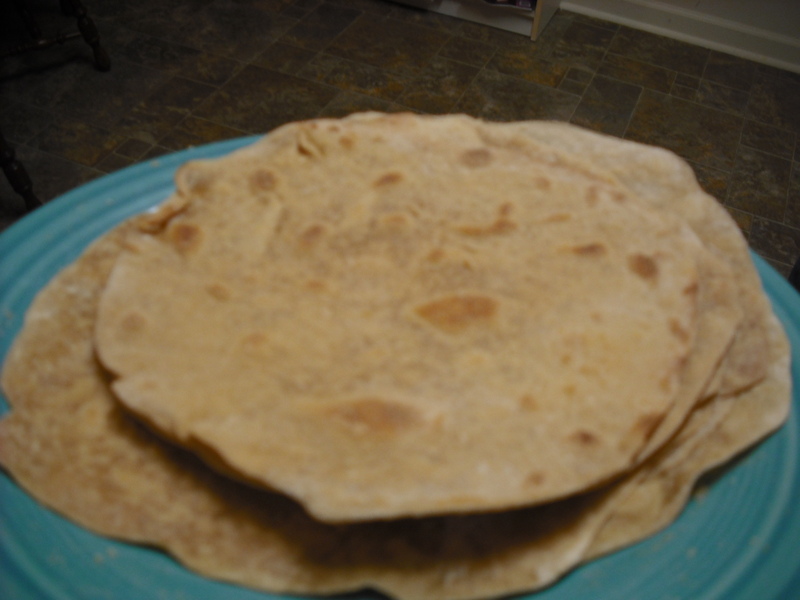 I’ve been waiting for a taco night for a while now… well… because I really wanted to try to make some home-made whole wheat tortillas! And I will have to say it was quite a success. 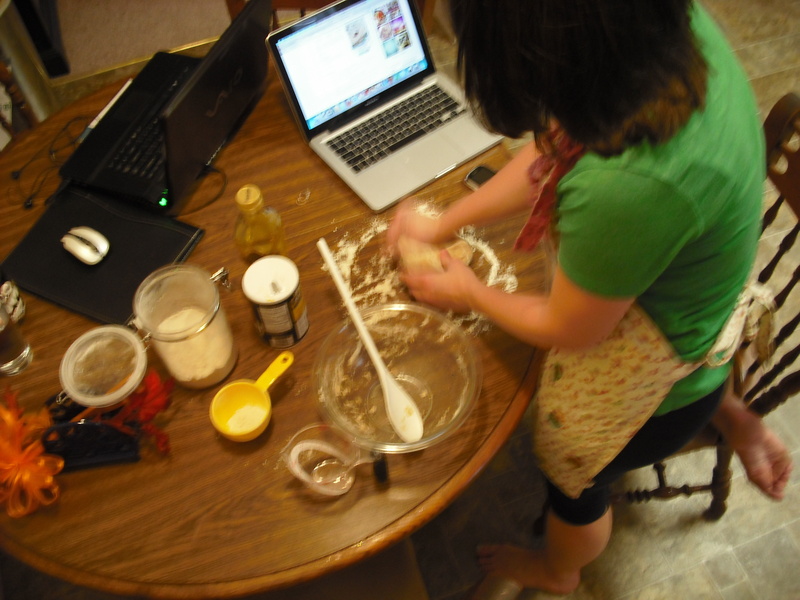 I asked Spencer to take a picture of the dough because my hands where a mess.. what he did was decide to go for an ‘artistic shot’ by climbing on our counter/toolboxes in order to get this masterpiece. What can I say, I married a true artiest. This recipe is seriously super easy to follow and fool proof if I must say. Every time I have tried to make my own dough-based whatever, it hasn’t always worked out the greatest for me.. but finally, I found a dough I can actually make work! 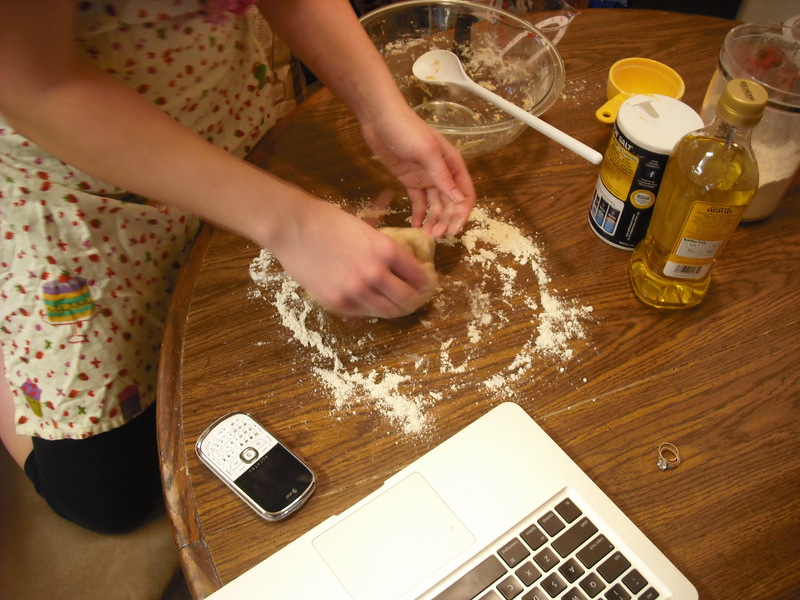 Step 1: Combine the flour, salt, and olive oil in a medium sized bowl. Step 2: Pour a little of the warm water into the bowl and mix. Continue this step until the flour comes together and it looks like dough! I ended up with a little water left over. 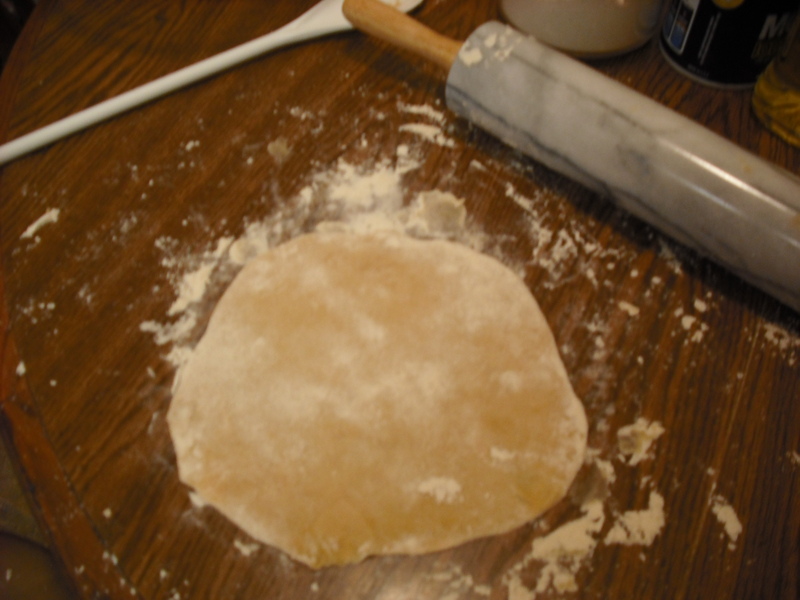 Step 3: Turn the dough out onto a floured surface and kneed the dough for about 2 minutes, or until all the ingredients are well incorporated. Step 4: Now is the easy part! 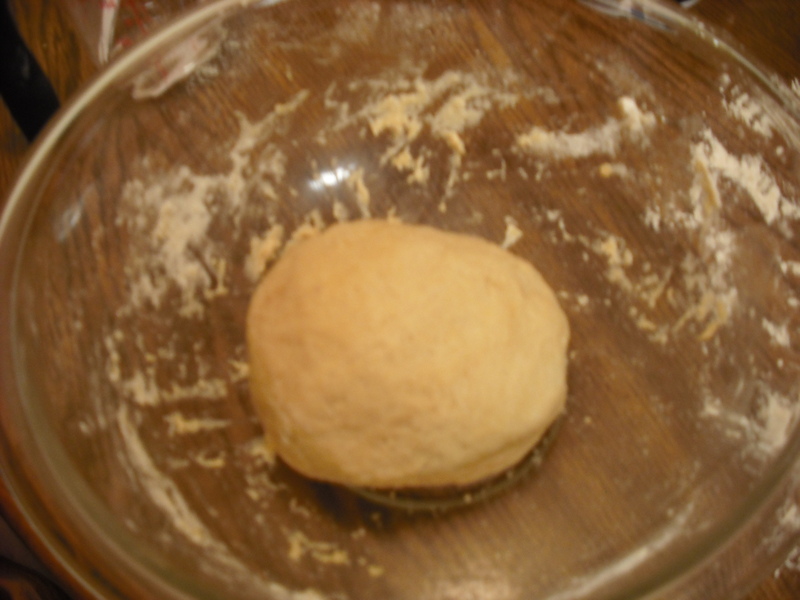 You just put your dough back into the bowl and let it sit for 20 minutes. I’m not entirely sure what this step is for, but my guess would be: that letting the dough sit, helps it become more ‘workable’ for rolling it out really thin. 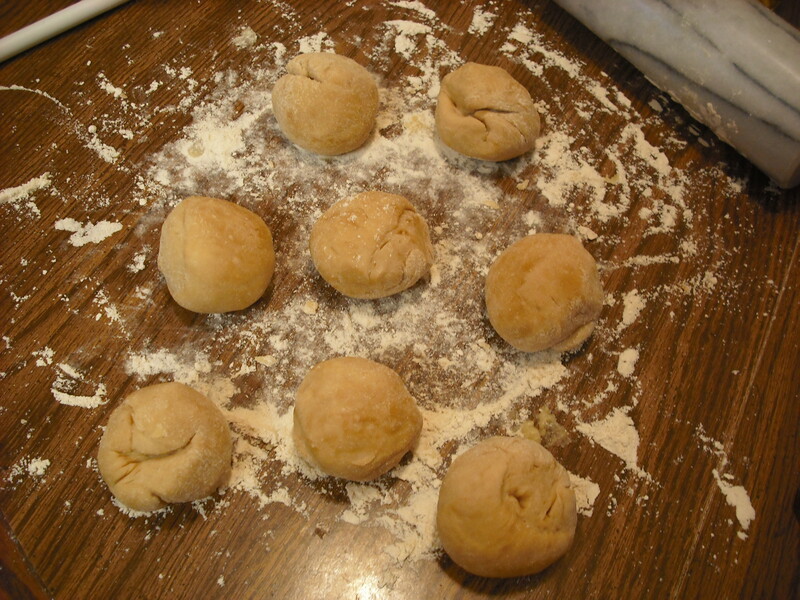 Step 6: Roll out each ball into a very thin circle… as you can see, this recipe yields some pretty generously sized tortillas! Step 7: Lightly grease your pan (or skillet) and cook your tortillas like you would a pancake on medium-high. These really don’t take very long to cook. 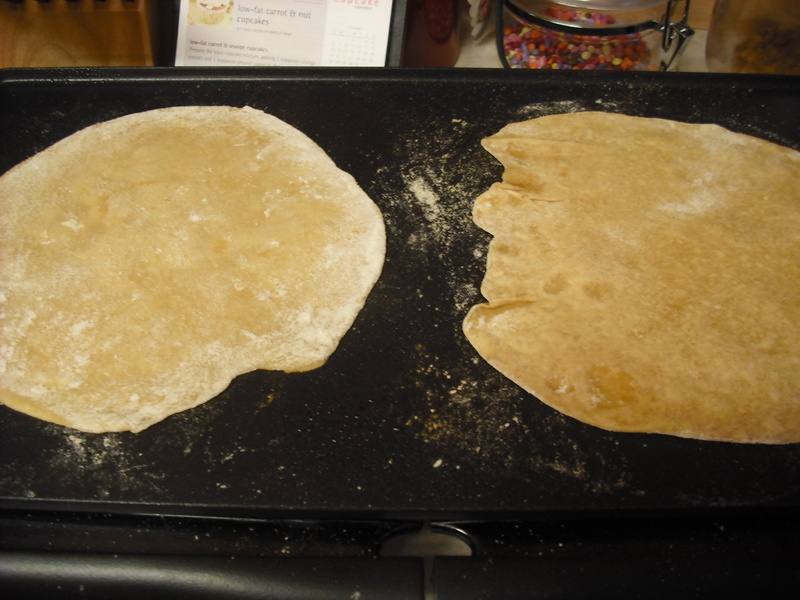 Once you see the tortilla starting to bubble (like a pancake), it’s time to flip it over! It’ll take just a couple minutes for each tortilla. 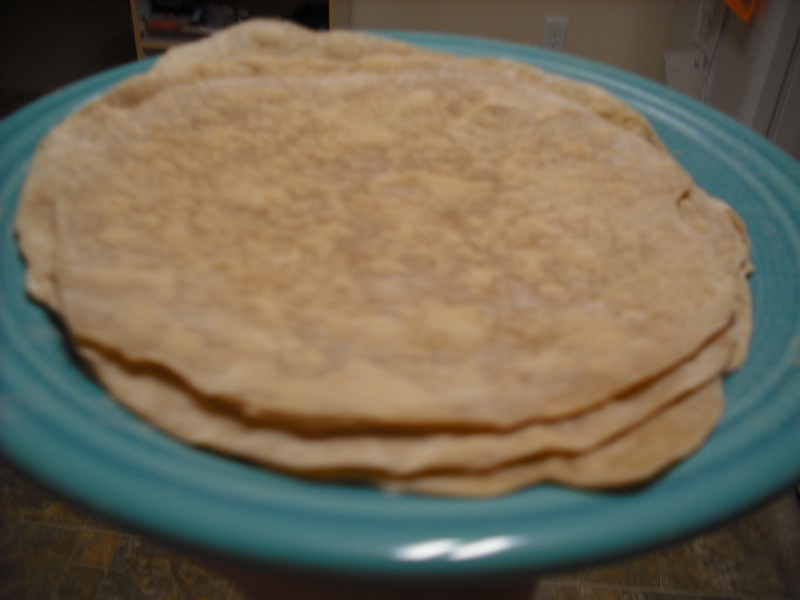 The great thing about making your own tortillas is that you can make them as hard or soft as you want them! Spencer is a fan of soft tortillas, while I like mine with more of a crunch to them. So I made some on the softer side, and I left some on the skillet longer to make them a little crunchy. He loved them, I loved them. This was a successful dinner!